Buy online MCP2551 stand-alone Controller Area Network (CAN) controller with SPI Interface in India from DNA Technology. 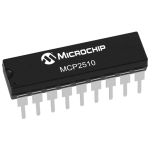 Microchip Technology’s MCP2515 is a stand-alone Controller Area Network (CAN) controller that implements the CAN specification, version 2.0B. It is capable of transmitting and receiving both standard and extended data and remote frames. The MCP2515 has two acceptance masks and six acceptance filters that are used to filter out unwanted messages, thereby reducing the host MCU’s overhead. 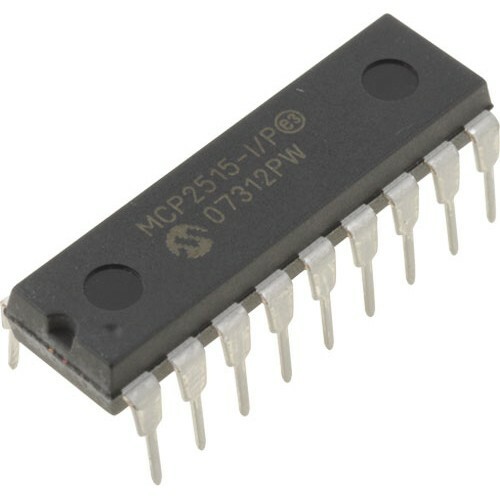 The MCP2515 CAN Controller interfaces with microcontrollers (MCUs) via an industry standard Serial Peripheral Interface (SPI). 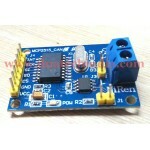 MCP2515 CAN BUS Module BoardThis is a easy to use CAN bus module controlled via SPI Interface. It co..
MCP2510 CAN ControllerThe MCP2510 is a 18-pin stand-alone CAN (Control Area Network) controller feat..